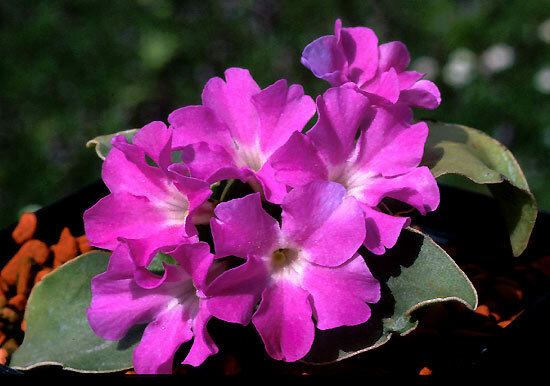 Primula spectabilis – This very beautiful is found in the Lake Garda region only. I cultivate it as a pot plant in the frame. Not easy to please in my garden.